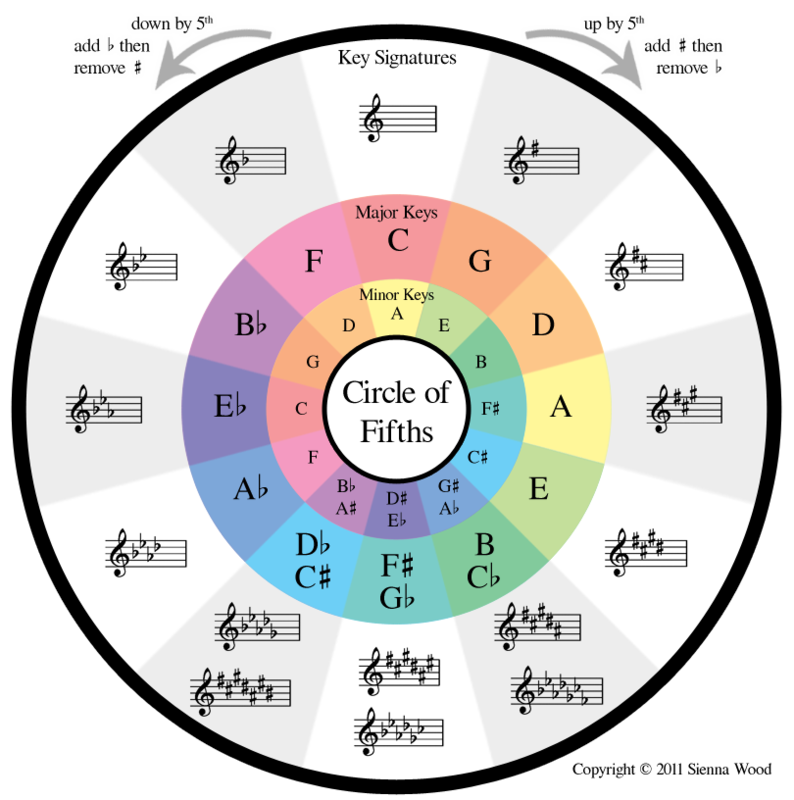 Using this formula you can create a major scale starting on any pitch on the piano keyboard. On a piece of blank music manuscript staff-with-keyboard create the C Major scale above in both the Treble and Bass clefs. 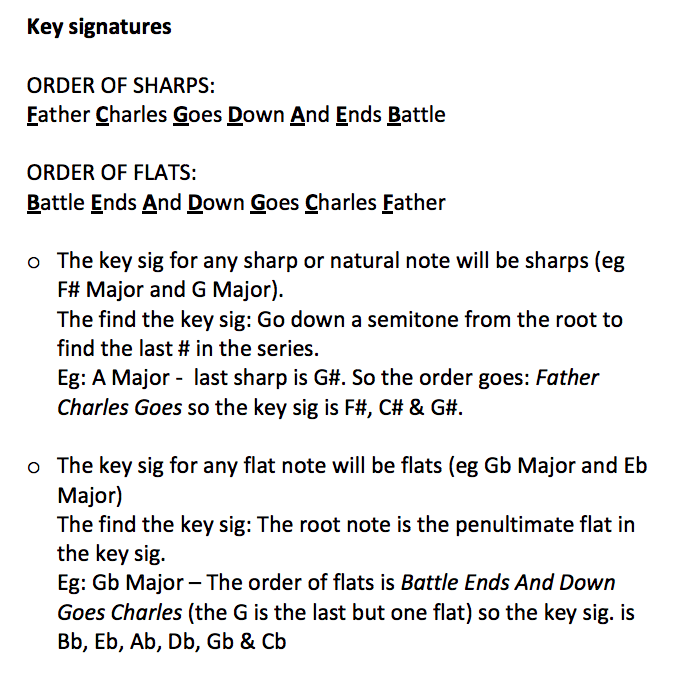 Next create a B flat Major scale using the formula above to find out the key signature needed for B flat Major. Be sure you start on the B flat and then continue with the formula. Then at the end count up the flats used and they will become your key signature. The Major scale with no sharps or flats in it was C Major. 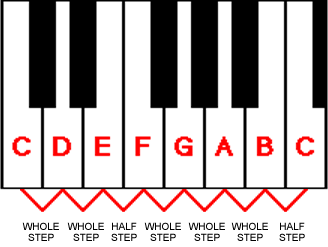 Try playing the A minor scale on the piano by starting on an A and only playing the white keys. that shows the Major keys on the outside ring and the minor keys on the inside ring.